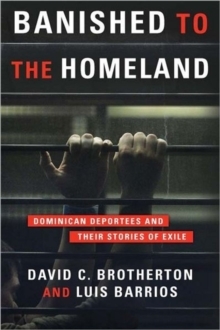 The 1996 U.S. Immigration Reform and Responsibility Act has led to the forcible deportation of tens of thousands of Dominicans from the United States. Following thousands of these individuals over a seven-year period, David C.
Brotherton and Luis Barrios use a unique combination of sociological and criminological reasoning to isolate the forces that motivate emigrants to leave their homeland and then commit crimes in the Unites States violating the very terms of their stay. 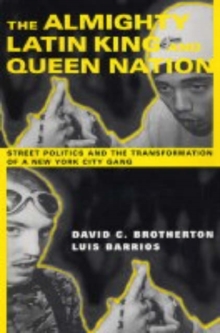 Housed in urban landscapes rife with gangs, drugs, and tenuous working conditions, these individuals, the authors find, repeatedly play out a tragic scenario, influenced by long-standing historical injustices, punitive politics, and increasingly conservative attitudes undermining basic human rights and freedoms. 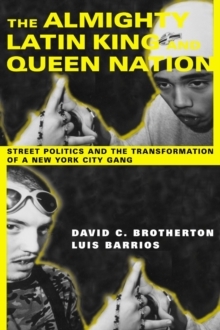 Brotherton and Barrios conclude that a simultaneous process of cultural inclusion and socioeconomic exclusion best explains the trajectory of emigration, settlement, and rejection, and they mark in the behavior of deportees the contradictory effects of dependency and colonialism: the seductive draw of capitalism typified by the American dream versus the material needs of immigrant life; the interests of an elite security state versus the desires of immigrant workers and families to succeed; and the ambitions of the Latino community versus the political realities of those designing crime and immigration laws, which disadvantage poor and vulnerable populations. 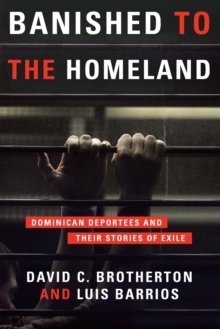 Filled with riveting life stories and uncommon ethnographic research, this volume relates the modern deportee's journey to broader theoretical studies in transnationalism, assimilation, and social control.